Rehabilitation aims to enable people experiencing or likely to experience disability to achieve and maintain optimal functioning. Consequently, the assessment of functioning is the starting point of a patient and goal oriented rehabilitation process. 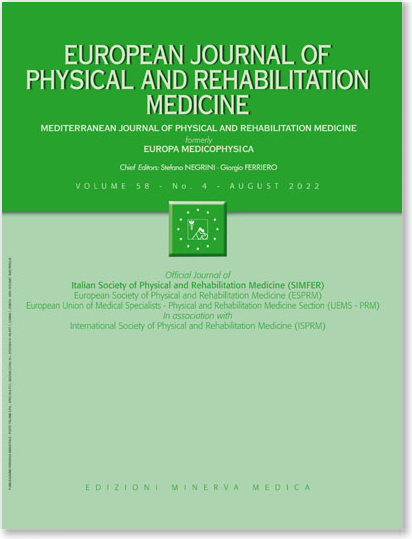 Within the International Classification of Functioning, Disability and Health (ICF) rehabilitation practitioners can rely for the first on a worldwide accepted model providing a universal language for the description and classification of functioning. To take advantage of the ICF in rehabilitation management there is a need to develop appropriate ICF Tools for clinical practice. Such ICF Tools, integrating the model and the classification of the ICF, have to be integrated in a problem solving approach provided by the Rehab-Cycle. ICF Tools have been developed for the use in the different steps of the Rehab-Cycle. Existing ICF Core Sets in combination with the use of ICF Qualifiers were the basis for this development. In clinical practice, these ICF Tools allow the description of a functioning state, the illustration of the patient’s experience of functioning and the relation between rehabilitation goals and appropriate intervention targets, an overview over required resources to improve specific aspects of human functioning and finally, the changes in functioning states following rehabilitative interventions. The ICF Tools support a common understanding of functioning and the communication among team members when used in multidisciplinary rehabilitation. The development of electronic documentation systems, the assignment of standardized instruments to ICF categories and the operationalization of the ICF Qualifiers can contribute to further improvements of ICF based rehabilitation management in the future.